Be a resourceful teacher – using your phone! As you can imagine, I read a fair amount of posts about technology and one of the most overused phrases is about capitalising upon the power in the pockets of students. I don’t mean snotty tissues or half eaten Haribo packets; I’m talking about the power of the mobile devices students carry around with them. Thing is though. So do we. A quick survey on Twitter found that almost 100% of respondents have a smartphone. Ok, so that might be like surveying people in Costa if they like coffee, but it’s certainly indicative of the power in a teacher’s pocket today. I think as teachers we can make better use of the devices we have in our pocket. They aren’t just good for text messaging, emails, phoning, FaceTime, Skype, calendars, reminders, Siri, internet browsing, reading Kindle books……….. Ok, so we are already using them for a fair amount. To give my point some context, I am often asked whether the iPad or the iPad mini are better for students. I always reply the iPad because of the increased viewable work area. That isn’t to say that the mini can’t be used though. It doesn’t mean your mobile phone isn’t any good either. There are lots of opportunities available for you to be creative and productive with your mobile device. In this post I’m going to share with you some of Apps for being creative, resourceful and organised whilst on the move. Being able to capitalise on getting some work done when grabbing a moment here or there – those 3 minutes at the bus stop, those few minutes here and there, wherever – can help you be all the more productive. Some of the results of things you can work on whilst on your phone are phenomenal. Myscript Calculator – handwrite your calculations and let the software work out your handwritten sums. Pages – the top word processor. Work on files on your Mac, or in iCloud and continue to work on them on your phone. WorkFlowy – touted as an excellent organisation tool by many, this free App is definitely worth looking in to. 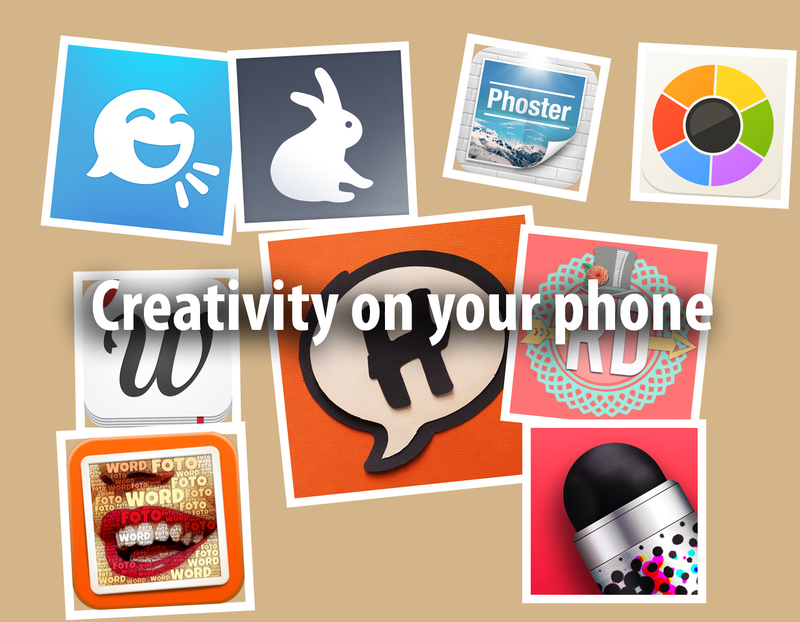 Here are 9 Apps that you can use on the go to be creative with and to create different things. I know I’ve used all of these many times before, on my phone, to create many things. 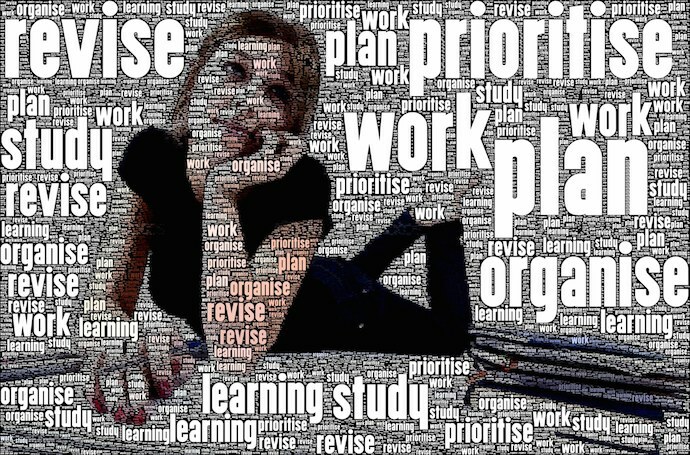 WordFoto – a brilliant App that takes an image and your key words and creates an image from those key words. 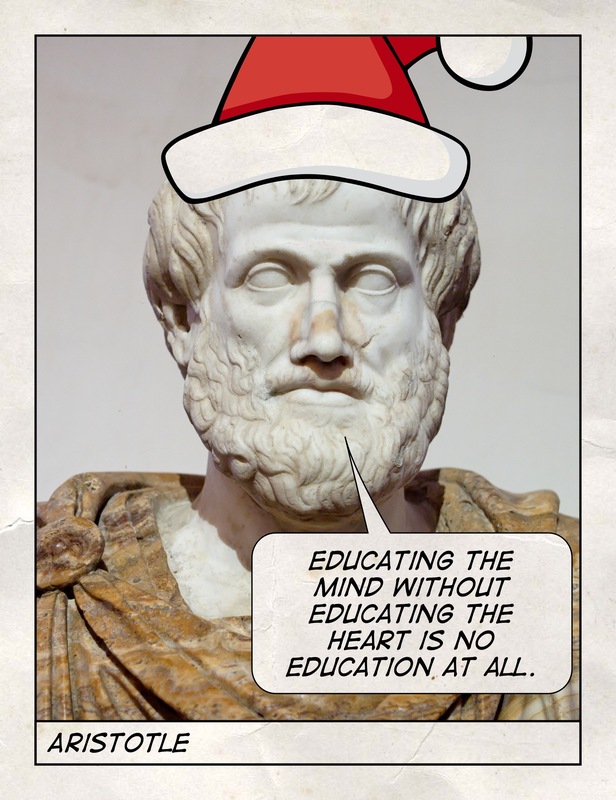 HalfTone – this app is great for making little revision cards or posters for your classroom. The callouts mean that it have learning points added to it in comic style. Rhonna Designs is a simply brilliant App for creating inspirational posters or notes for your classroom. Repix is fab for touching up your images with some great effects. Moldiv as mentioned before is simply brilliant. Shadow Puppet is a brilliant screencasting App that you can use on your phone. It has an education version too which you can find here. Phoster – a staple for many teachers for some time now. This poster app contains loads of templates for posters. It makes amazing posters very simply. Check it. 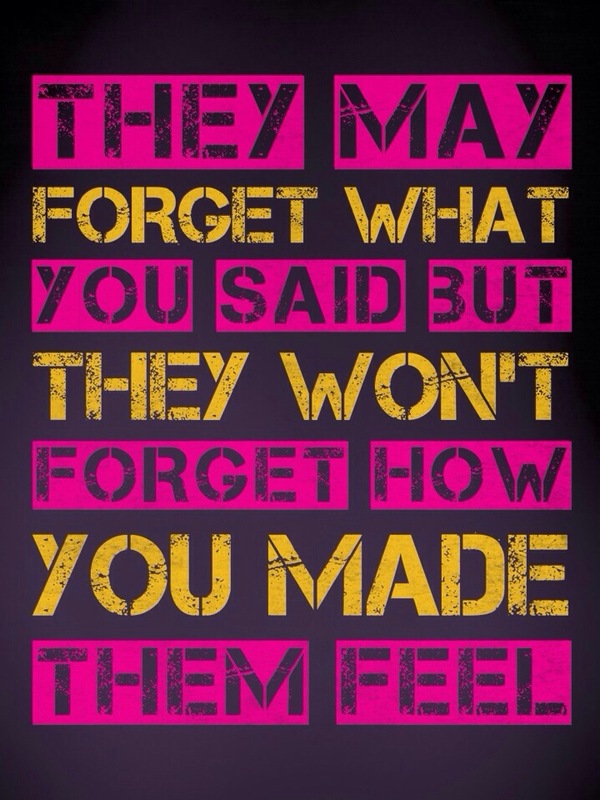 Whilst it’s not on the graphic above either, the App Quipio is also a great App for creating quote based posters. It is super simple to use and can create some great results. So that’s it. 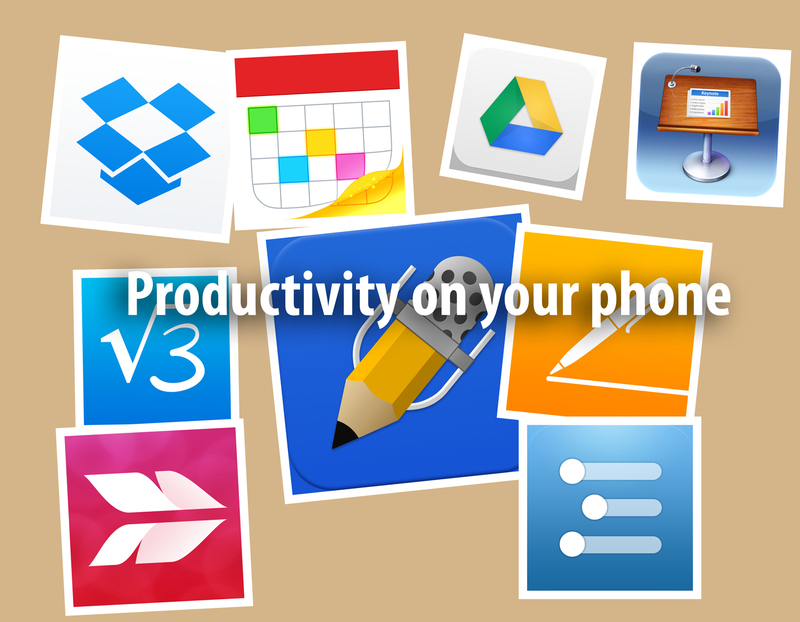 Any productivity or creativity Apps to use on your phone that you’d recommend? Love to learn about them! How about adding Evernote, Pro PDF and Splashtop to your list?